Son Tra Peninsula is located just outside Da Nang and is the perfect place explore for a few hours when you need a break from the big city life. The best way to explore is by motor bike and there is no shortage of things to see. We spent about 4 hours on the peninsula, but you could easily spend a whole day! 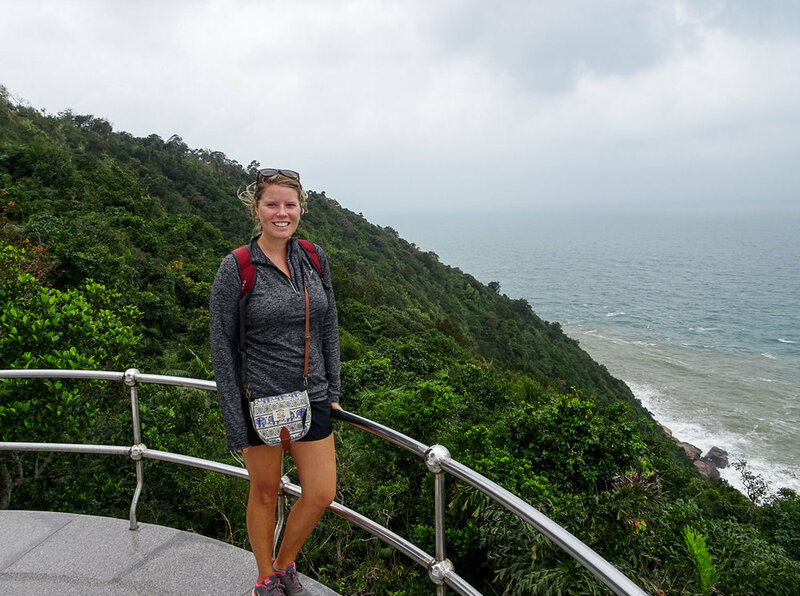 Since the park is so close Da Nang, which houses about 1.5 million people, we expected crowds around every corner. However, we were pleasantly surprised to find that there were very few tourists! Our first stop near the entrance to the park was the Lady Buddha. This gigantic white statue of Buddha can be seen from Da Nang and supposedly keeps the fisherman safe during storms in the bay. The statue is quite impressive, but we especially liked the landscaping of the grounds around the temple. 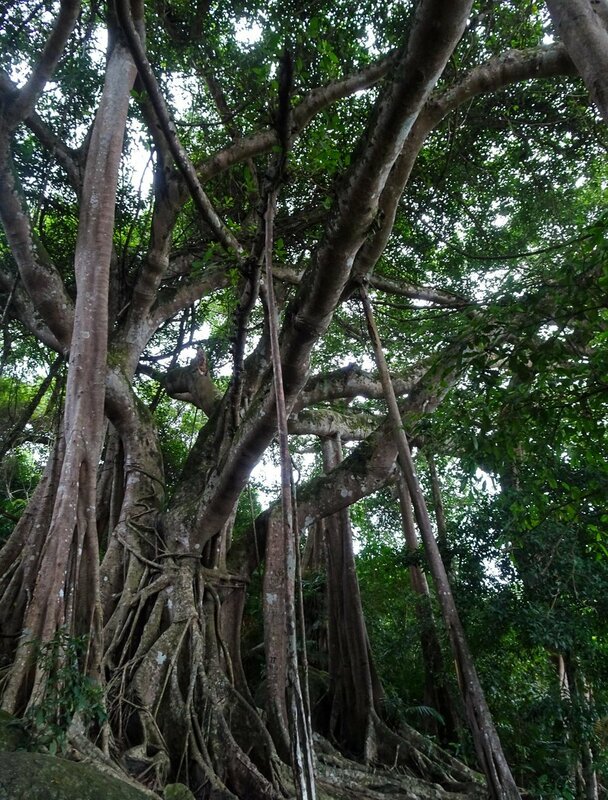 The second stop was a crazy Ficus tree called “The Great Banyon Tree” that is estimated to be over 1000 years old. It has 100’s of interconnecting trunks and branches and is seriously impressive. Definitely unlike any tree we’ve ever seen! 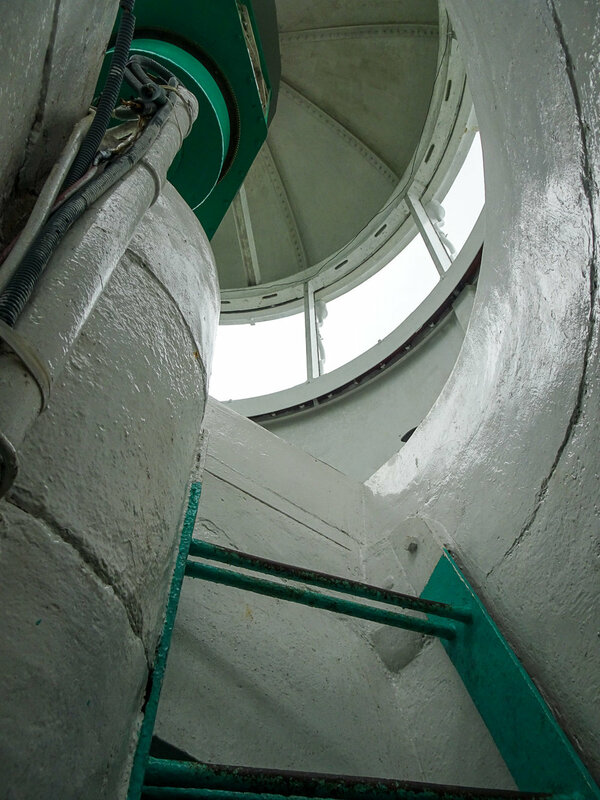 Next up, Megan’s favorite stop on our tour of the peninsula – an old lighthouse that you can climb to the top of! The views were beautiful and we could watch the monkeys jump from tree to tree. Unfortunately, I left my Arapahoe Basin water bottle on top of the light house so now it is probably in the hands of some poop throwing monkey. Last but not least, we decided to ride the motor bike to the top of the mountain that dominates the peninsula. Maybe this wasn’t our best idea as it was got super cold and foggy up there, but it was still fun! The road is narrow and windy and is a great drive!